. Our Trussville divorce lawyers are currently offering discounted flat fees for uncontested divorces in St. Clair or Jefferson County, and throughout Central Alabama. This does not include the filing fee that each county charges to file a divorce. The filing fee in Jefferson County is about $206. If you live in Trussville or the surrounding areas of Gardendale, Fultondale, Irondale, Hueytown, Homewood, Leeds, Irondale, or Moody, then you will likely be filing your divorce in either St. Clair or Jefferson County. Birmingham is the county seat of Jefferson County. Pell City and Ashville are the county seats of St. Clair County with courthouses in the City of Asheville and downtown Pell City. Each county charges a fee to file your divorce. The filing fee in Jefferson County is about $206 and in St. Clair County it is about $201. If you are ready to get the process started then you can fill out and send us a divorce questionnaire online. Call us at (205) 201-1789 if you have any questions about filing a cheap divorce in Trussville or anywhere else in St. Clair or Jefferson County. It is very crucial to retain a local Trussville divorce lawyer when filing for divorce to ensure you get proper counseling and guidance during the divorce process. If you have planned to have a contested divorce or a default divorce filed in Jefferson or St. Clair County, then you will have nothing to be worried about as we are here to ensure you get through with it conveniently. Get in touch with us to discuss our fees and go through the process together on the phone. 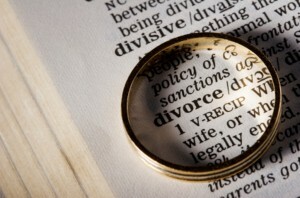 If all you desire is a cheap and simple divorce in Trussville, then you should settle for an uncontested divorce. It is only paperwork and the process can be started by filling out a questionnaire and other important information that maybe required for the completion of the needed forms and sending it to us online. We need the completed questionnaire in order to begin the process. The process of filing for a no contest or uncontested divorce is fairly simple. When you call us, then we can answer any questions you may have over the phone and an in office consultation is usually not necessary. However, both you and your spouse must have reached an agreement in order to file for an uncontested divorce. If an agreement has not been reached and you wish to get divorced, then you will likely have to file a contested divorce. This is where one party files for divorce and serves the other party. The other spouse, once served, has a limited amount of time to respond and there will usually be hearings and other court proceedings. A contested divorce continues until both parties either reach an agreement as to all contested issues or have a trial and let the judge in their case decide such issues for them. It is always cheaper and simpler to reach an agreement beforehand and file an uncontested divorce, but if that is not possible then call our Trussville divorce lawyers to discuss the contested divorce process in your county. Our Trussville divorce attorneys are currently charging a low flat rate of $290 to handle your uncontested divorce without minor children of the marriage and $390 if you do have minor children. This does not include a filing fee that each county requires which is $206 in Jefferson County and $201 in St. Clair. Even in a quick and easy uncontested divorce, each county can have different document requirements, so it is important to have a local divorce lawyer file your cheap divorce in Trussville, Alabama. If you reside in Gardendale, Fultondale, Irondale, Hueytown, Homewood, Leeds, Irondale, or Moody, then your divorce will most likely be filed in either St. Clair County or the Jefferson County Domestic Relations Court, both of which have specific divorce requirements that other counties may not have. For example, when filing a cheap divorce in Jefferson County there are certain documents that must have language included in them that are unique to that county. If these requirements are not met, and the proper motions and other pleadings are not filed in the proper way, then they are likely to dismiss your case and you will have to file it all over again. If you intended to use online divorce document preparation program, then you should be aware that it may cause the dismissal of your divorce by the judge assigned to handle your case. That is because online divorce document preparation program may not contain the proper language required by the local rules of your particular county. It is crucial to have an actual Trussville uncontested divorce attorney work on your case for you. We have great Trussville divorce lawyers who have in-depth knowledge of the local rules and will ensure that all documents are properly filed in conformity to the local rules. Our Birmingham office is located on Highway 280 and our local divorce attorney, Steven Harris, regularly files divorces in Jefferson and St. Clair County. He is a member of the local Birmingham Bar Association and the Central Alabama Better Business Bureau. If you call our Trussville divorce attorney today, then we can answer any questions you may have, including what courthouse to file your divorce in.